So those of you who've been around lately know I've been studying plot structure while I outline what I affectionately call The Tome. 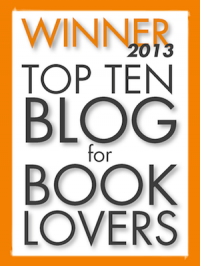 I started out by reading some materials specifically on plotting--James Scott Bell's laissez-faire approach in Plot and Structure and then KM Weiland's more structured three-act approach in her blog series on structure. However, I didn't stop there. 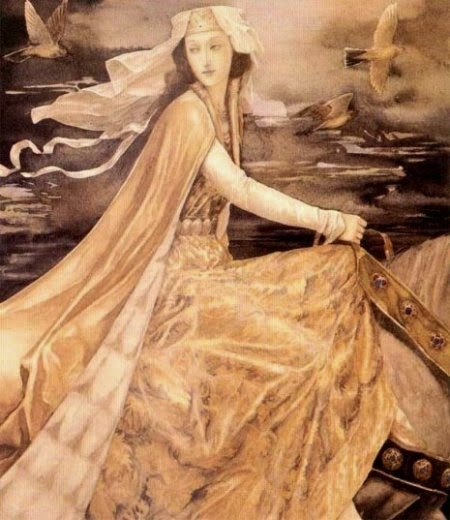 I went on to analyse how plot structure was used in a book which will, DV, have certain similarities to my own Tome: JRR Tolkien's Lord of the Rings (see my blog series here: Part 1/Part 2). Analysing LOTR gave me a huge amount of information and confidence on how to actually apply plot-structuring-advice to my own work--mainly because it showed me what was necessary and what was not, and how plot structure can be adapted, tweaked, or even disregarded. It also brought me to suspect that Tolkien was not actually using three-act plot structure at all, but an earlier variation: five-act structure. In Part 2 of my earlier post on plot structure in LOTR, I explained how I believe five-act structure maps onto three-act structure, with the difference mainly being in emphasis: in five-act structure, the climax of the work comes at the midpoint, while in three-act structure, the climax is at the resolution. To quickly recap, in both models, the first acts correspond; then the second, third, and fourth acts of five-act structure all correspond to different stages of the second act of three-act structure; finally, the fifth and third acts correspond. After having my interest whetted in five-act structure, I decided to study it in more depth by analysing four of my favourite Shakespeare plays--two tragedies and two comedies--so that I could get a handle on how his structuring actually worked in practice. (Always check the writing advice you hear against great classic works of literature. It will broaden your outlook considerably). The plays I chose were Much Ado About Nothing, The Taming of the Shrew, Romeo and Juliet, and Othello, and this week we'll look at their first two acts. Before I begin, a disclaimer or two. I'm not a professional Shakespeare student. I'm only a beginner on five-act structure. It's entirely possible I'm getting some or all of this wrong. In addition, the way Shakespeare used five-act structure was quite different to how Tolkien used it; other authors would no doubt also differ. Finally, it should be noted that Shakespeare himself did not insert the Act divisions found in all modern editions of his plays. We can be reasonably sure he was following a five-act structure since that was the reigning model at his time, but the Act divisions were inserted by later scholars--and in fact, the longer I looked at the plays in question, the more Act divisions I found which I'd have put in different places. Oh, and: spoiler warning for the four plays discussed! - It may show us the tail-end of the characters' last conflict, which is going to lead directly into the next. 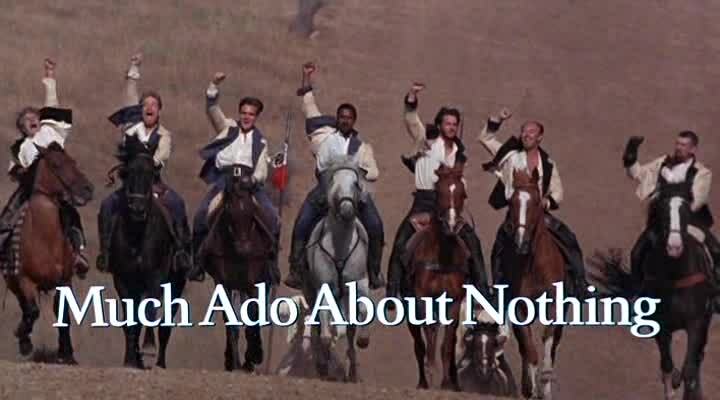 For example, Much Ado begins by bringing Don Pedro's soldiers home after a "hot war" with Don Juan which will now erupt into a "cold war" in Messina. - It may introduce us to a story in which the characters' normal is conflict. Romeo and Juliet begins with an action-packed battle between the Capulets and Montagues. This feud itself is one of the major antagonists (the other would be Fate). - It may introduce us to a world where things are about to change dramatically--often with new suitors arriving in town, as in Shrew (or, skipping authors, Pride and Prejudice). - It may be a relatively self-contained plot in itself, which defines the parameters of the plot that will occur in the rest of the play. Othello begins with a mini-plot set in motion by Iago to get Othello in trouble for marrying Desdemona. When this doesn't work, Iago begins Act 2 with a new plot to ruin Othello's marriage another way. Jane Eyre also takes this approach, walking us through Jane's traumatic childhood to show how she gains the strength of character that will define her for the rest of the story. The main task of the Exposition, in addition to giving us a taste for the flavour of the rest of the story, is to define the conflict in what KM Weiland calls the First Plot Point. 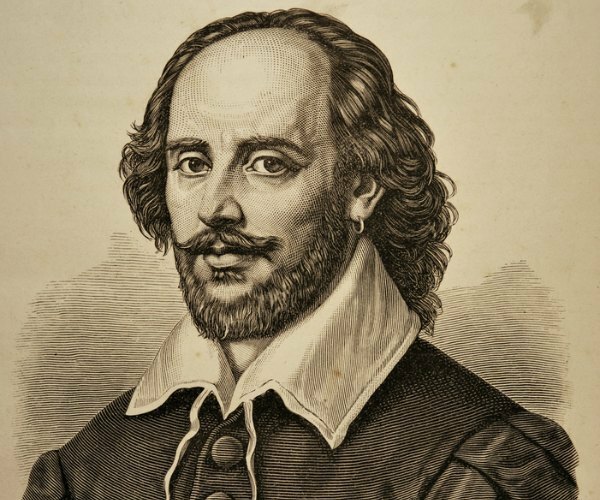 Often, Shakespeare accomplishes this by having the villain give a monologue declaring his evil scheme, as in Much Ado with Don Juan or in Othello with Iago. Shrew is an interesting example in that the First Plot Point happens when Petruchio--who, despite being the play's heroic/Christ figure, takes the traditional role of the antagonist--makes a commitment to action: he intends to marry Kate. In R&J, however, there is no overt declaration of intention; rather, we reach the First Plot point when the title characters fall in love, thereby setting themselves on a path to unavoidable conflict with the feud that defines their world. - The villain might formulate his evil plot for the first time, after declaring his malice at the close of Act 1. This happens in Much Ado, in which Don John has a motive, but no plot until later in Act 2. - The villain might begin to move an evil plot into play, like Iago arranging for Cassio's disgrace and convincing him to ask Desdemona to intercede with Othello for him (which will make it all the easier to frame Cassio and Desdemona for adultery). - The protagonists might go from unwittingly stumbling onto the path to conflict...to making a solid commitment to the conflict, as with Romeo and Juliet leveling up the relationship and getting married. Now the stakes are even higher for them, and they have even more chance of having their lives get ruined by the feud. - Or, as in Shrew, the heroic antagonist scores a win by arranging his engagement with Kate. In five-act structure, Act 2 occupies the same space as the beginning of Act 2 in three-act structure. However, it finishes sometime before the climactic Midpoint. Where? Well, I think it finishes at the point where KM Weiland advises inserting the First Pinch Point--a dramatic moment that reminds the audience of the antagonist's strength. As a matter of fact, sometimes Shakespeare does end his second acts with a Weilandesque Pinch Point, like Borachio coming up with a way to spoil the wedding in Much Ado--but at other times, he ends it with a dramatic moment of a different flavour. For instance, Romeo and Juliet's wedding is technically speaking a victory for the protagonists, not a point of heightened danger (though it does raise the stakes significantly). Similarly, in Shrew, Petruchio's betrothal with Kate is a foreshadowing of the happy ending in which Kate and Petruchio will be happily married. So there you have my thoughts on the first two acts of Shakespeare's five-act structure! Next week, I'm going to finish by outlining Acts 3-5. Stay tuned! Can I just mention that the cover's terrific? Everyone loves a good vintage detective story, obviously. 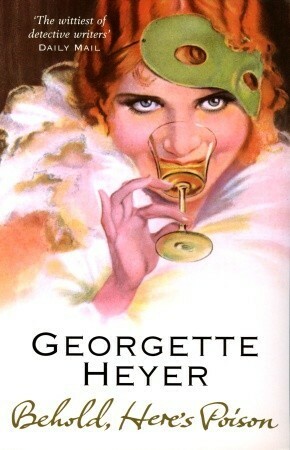 I had never read any of Georgette Heyer's detective novels, and so when I had the opportunity to pick one up for free, I jumped at the chance. (An aside: For the last few years, a shelf of free ex-library books has been provided at the train station in our local town. Travellers are encouraged to nose through them and take something to read on their journey. Isn't that a neat idea? 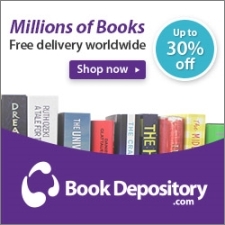 That was how I acquired this book, and honestly, I can think of few better things to do with ex-library books than giving them out to me for free). So, Behold, Here's Poison (which comes with an endorsement from no less a luminary than Dorothy Sayers herself), opens in the approved manner, with the discovery of a dead body. Mr Gregory Matthews, the deceased, was known to have heart trouble, and none of the other members of his household--stingy spinster sister Miss Harriet Matthews, manipulative widowed sister-in-law Mrs Zoe Matthews, or Mrs Matthews' son and daughter, the feckless interior-designer Guy or perpetually exasperated only-sane-woman Stella--think for a moment that Mr Matthews might have departed this life with assistance. But Mr Matthews's other sister, the formidable and acid-tongued Mrs Lupton, knowing the resentments and frustrations seething in the Matthews household, insists on an autopsy--and to everyone's amazement, the body tests positive for nicotine poisoning. Inspector Hannasyde arrives from Scotland Yard to investigate, and is plunged into all the nutty goings-on of the Matthews family--none of which is more infuriating than the smug and smooth-tongued heir Randall Matthews. In some ways this book was a fun read. Heyer's wit and humour are in good evidence here. If you've only ever read Heyer's Regency romance novels, as I have, you might even find this book pretty surreal, as so many of the characters act like the characters in her Regency books. It can be difficult to remember that Heyer's writing contemporary fiction (Behold, Here's Poison was first published in 1936). When Randall sends a note to Inspector Hannasyde protesting against the colour of the boots worn by the plain-clothes detective following him around London, it's not just hilarious, it's also rather difficult to keep in mind that just this once, Heyer's not writing a Regency dandy. In other ways, I'm not sure this was a particularly good detective story. I do appreciate Heyer focusing on psychology and character rather than painstakingly going over clues and alibis. However, the plot didn't seem particularly tightly woven. The interaction of the characters, who were fun to watch for a while but ultimately tiresomely unpleasant, and a few red-herrings took up the majority of the plot. At the end, it turns out that the motive for the murder was foreshadowed very well, but the actual murderer was someone so unexpected as to seem almost irrelevant to the rest of the story. Meanwhile, Stella, who acts as the point-of-view character for most of the book, has an oddly disjointed and underdeveloped romance subplot that manages to be both unexpected and rather Heyer-typical at the same time. Finally, I didn't appreciate the fact that one of the most unpleasant characters in the book is also portrayed as a believer. It was not unsubtly done, and I'm sure people like this exist, but it's also the most overt reference to Christianity in those of Heyer's works that I've read and seems to fit in with a generally dismissive and cynical attitude I've noticed in her other works. To conclude, this book was entertaining, witty, and an easy read. It was also somewhat cynical in tone with a weak ending and characters to whom, alas, I did not, with Dorothy Sayers, "take a violent fancy". 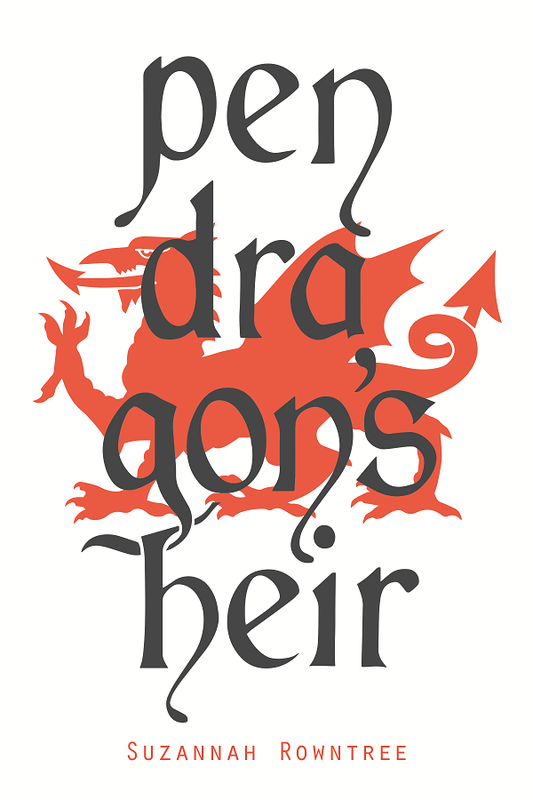 Find Behold, Here's Poison on Amazon or The Book Depository. It was John Buchan's 140th birthday last week, and it's appropriate the day should have found me slowly meandering through his very last novel, the quiet, introspective, poignant and beautiful Sick Heart River. Buchan died in February 1940, aged 64, following a stroke. He was the Governor-General of Canada at the time of his death, of course, and had recently signed Canada's declaration of war against Germany. According to George Grant, Winston Churchill responded by calling Buchan's death the most terrible loss of the whole war to date. The "Christian statesman par excellence" had passed on to the other side, but days before he left, he finished one last book to record just what he thought of it. Sick Heart River is the fifth book in the Edward Leithen series. (The others are The Power-House, a novella that acts as a sort of spiritual precursor to The Thirty-Nine Steps; The Dancing Floor; John Macnab; and the very odd time-travel-ish tale The Gap in the Curtain). Sick Heart River finds Leithen now in his late fifties facing a terminal diagnosis of turberculosis. Leithen has enjoyed a dazzling career as eminent barrister, member of Parliament, Cabinet minister, and attorney-general--but with only months left to live, he leaves it all behind and takes up a whole new mission into the bleak arctic wilds of Canada. The friend of a friend, Francis Galliard, has gone missing in the North, and Leithen volunteers to find him and send him back, and so to die well, far away from the irking sympathy of his friends or the coddled atmosphere of the sick-room. But the North has some surprises in store for Leithen. When I first read this book, I didn't appreciate it anywhere near as much as I did this time round. It is an extraordinary novel, full of the anticipation of death, valedictory of life. 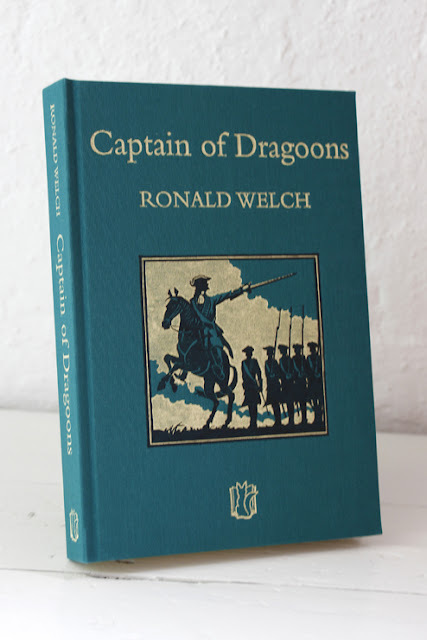 All of Buchan's books deal with danger, hardship, and adventure in the wilderness, but in this book, poised as it is on the threshold of death, everything becomes somehow harder, clearer, and sharper. Sick Heart River is an outdoors tale, full of long hikes, mountaineering, hunting, and tracking in winter in the extreme North. Despite periodic bouts of illness, John Buchan himself was an avid and lifelong outdoorsman--and a particularly seasoned mountaineer. In fact, when the closing years of his own life took him to Canada, he couldn't have been happier having a whole new country to explore and climb up and ski down and shoot caribou in--resulting in worried letters from the King, who hoped he wasn't overdoing it at his age. Buchan was, in other words, a man who pushed his body hard and expected it to rise to whatever challenges he threw at it. His hero, Edward Leithen, has the same idea of the strenuous life--but now, with death approaching, he must now hike and climb and hunt with a body steadily decaying through time and sickness. There is a very keen sense throughout the novel of the departure of a certain physical glory. And yet Leithen's reaction to this is neither self-pity nor rest and ease. Rather, it is to keep going, and to die, if die he must, in a hollow in the snows rather than in a nursing-home. Buchan's philosophy of the strenuous life is nowhere more apparent. 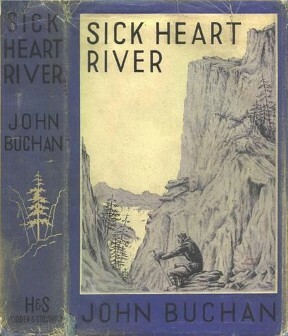 Buchan is perhaps most famous as the inventor of spy fiction, but he was always willing to try something more introspective and thoughtful on occasion, and Sick Heart River is perhaps his most quiet and character-driven tale. The Canadian North itself seems to be the antagonist here. I should take a moment to say that Buchan employs some of his most beautiful and evocative writing to describe it. A wave of icy air swept out the frowst, and Leithen found himself looking into a radiant world, rimmed with peaks of bright snow and canopied by a sky so infinitely far away that it had no colour except that of essential light. JB does not get a lot of recognition for his writing style, which is rarely showy but always crystal-clear, measured, and elegant. Here, though, it is almost showy, and the result is not just a pleasure to read; it's so clear and so vivid that you feel like you've actually been there. But lovely as it is, Buchan also imbues the North with a good deal of terror and awe. At first glance it seems cold and vast, cruel and pitiless, an immensity with no care for humanity. Throughout the book, the characters are tested and challenged by it. Francis Galliard, who has abandoned his Northern roots as a young man, is drawn back to it in an attempt to face and conquer it, but instead is frightened to madness by its power. The Indians, from Lew and Johnny Frizel, the half-Scots half-Cree guides to the Hare tribe suffering from pessimism, have an uneasy truce with the North--they are able to eke out survival by its suffrance, but they know it has the strength to crush them. Only Leithen finds the key to face the North without blinking. At first, it's that he is already dying, and therefore has no fear of what the North might do to him. But though that provides him with a certain stoic reserve of strength, it's unable to lift anyone else out of despair--until Leithen discovers something else. In one of the most uncharacteristically emotional passages I've ever read in Buchan, he has a sudden and staggering vision of the North as full, not of impersonal harshness, but of God's mercy and provision for large and small creatures. Buchan uses the North as a symbol of life itself--"it's a great life, if you don't weaken", as Blenkiron says in Mr Standfast--and the fear of the North is described once or twice as accidie, the sin of apathy, or a despairing detachment from the duties of the world. The cure for this fear and despair is initially sought by Galliard and Lew Frizel at the hidden Sick Heart River itself, though they are disillusioned when they discover that the Sick Heart is even more inimical to life than anywhere else in the North. Rather, it's Leithen's vision of the tender mercies underlying creation that provides the cure--not just because it provides hope to counter despair, but also because it refocuses Leithen himself. The man who went into the wilds to get away from concerned friends and to die alone in stoic silence discovers that this is no longer an option. Instead, the vision drives him to spend his last hope of recovery in work, pulling a dying tribe of Indians back from the brink of extinction and demonstrating that the North can indeed be beaten. No doubt I've only scratched the surface of this extraordinarily deep and thoughtful book. Sick Heart River is unlikely to win much acclaim these days; it's too character-driven to please the lowbrow, and too politically incorrect to please the highbrow. All the same, it's a beautiful book. Find Sick Heart River on Amazon, The Book Depository, or Project Gutenberg Australia.